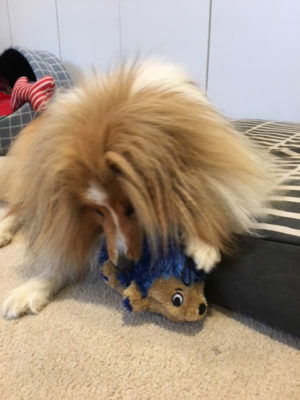 Sheltie Nation | Holy Hair! Posted by Kelly on Aug 09, 2018. The toy is under the Sheltie. Max’s hair is a riot, Jane!